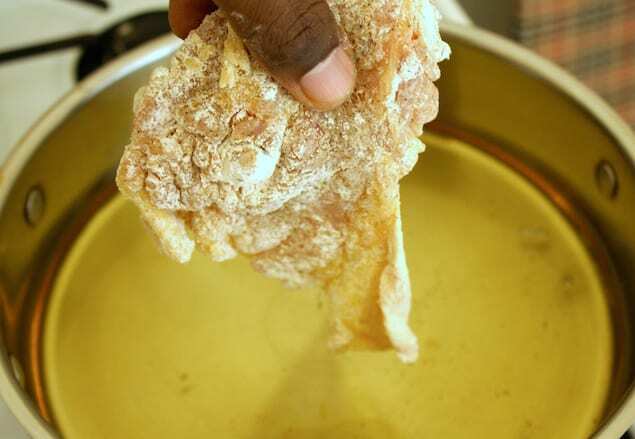 This article from The Hungry Hutch for Honest Cooking was reprinted with permission and originally appeared as The Simple Guide to Making Fried Chicken. 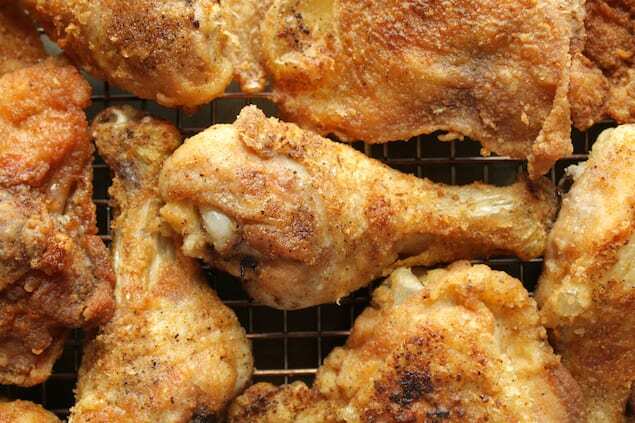 I present to you this comprehensive guide on how to make fried chicken. I’ve shared a couple of variations over the years, but this aims to be your go-to manual for how to fry chicken. It of course all starts with the chicken. I tend to stick with dark meat these days because I find it more flavorful, but you can use whatever cuts you like. 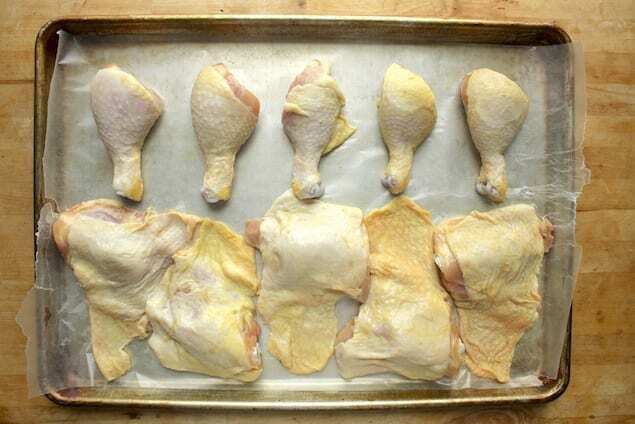 Lay your chicken out flat on a good working surface. Now it’s time to season! 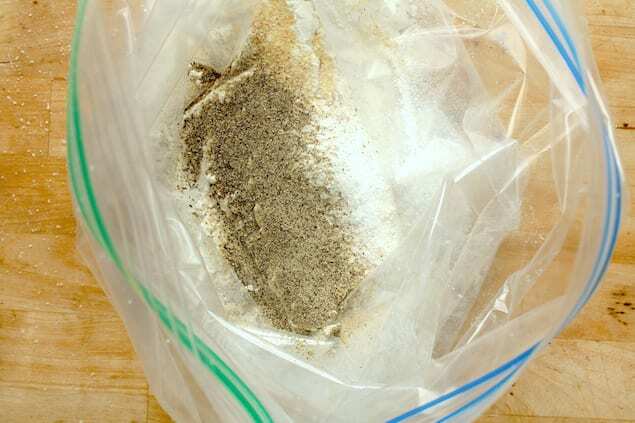 The basic chicken spices that I always include are kosher salt, black pepper, and garlic powder. You can stop there (as I did for this post), or you can personalize with other herbs and spices. Some others that I regularly include are onion powder, mustard powder, paprika, chili powder, cumin, and cayenne pepper. Be sure to generously sprinkle all sides of the chicken so that it is full of flavor. Speaking of flavor, it’s also a good idea to season the flour you’ll be dredging the chicken in. 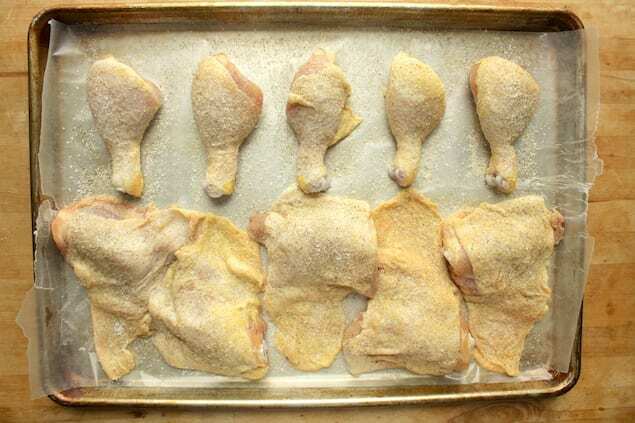 Just use all of the same spices you put on the pieces of chicken. 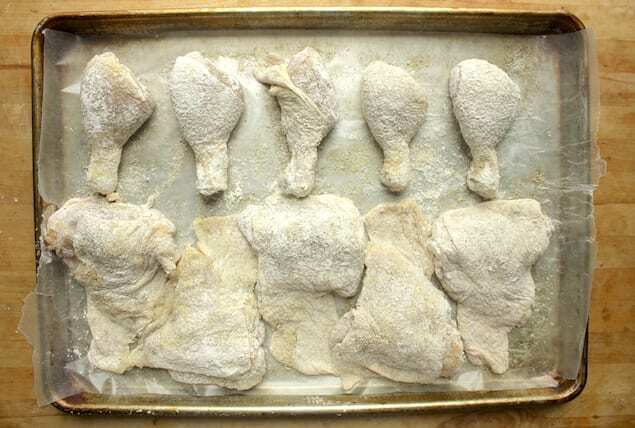 Coat the chicken in the seasoned flour a few pieces at a time, shaking off any excess, until they’re all floured. It’s great to let the dredged chicken sit for a few minutes to help the coating adhere to the meat. You can check that the oil is ready by flicking some flour into the pan and looking for a moderate sizzle. If it goes crazy, then it means that the oil is too hot. Carefully add the chicken pieces, a few at time so as not to crowd the pan, and cook until golden brown on the first side, about 7 to 10 minutes. 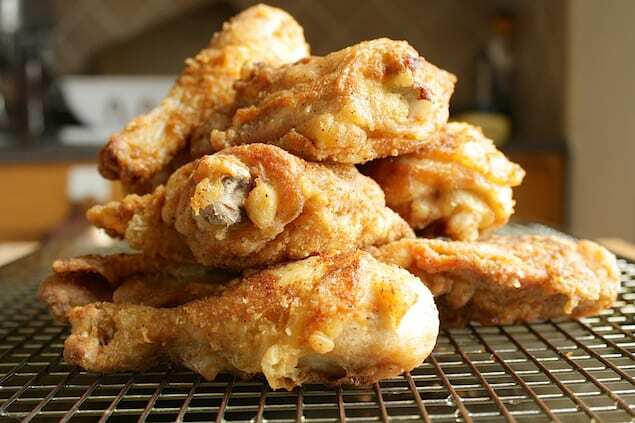 Flip over and continue frying until the chicken is golden brown on the other side, about 7 to 10 minutes more. Repeat with the remaining chicken and then EAT!